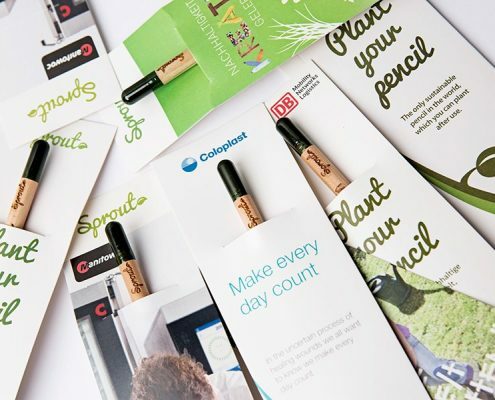 Want a quirky and sustainable marketing product? 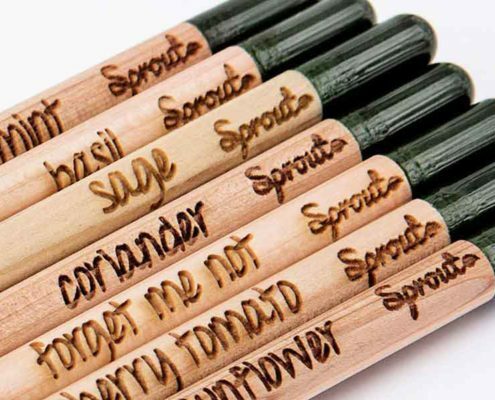 The Sprout Pencil is a sustainable pencil that can actually be planted after use. At the end of each pencil you’ll find a water-soluble seed capsule (instead of an eraser) that can be planted in soil. Use like a normal pencil, but when it becomes too short to write or colour with, just plant the pencil into some soil then watch it grow! These would be great promotional products for mailing as they are very lightweight. Also great for schools as an educational resource. They would also be great for garden centres and gift shops. Choose from a wide choice of seed varieties to suit your promotional needs. We can supply: Sunflower, daisy, carnation, forget me not, cherry tomato, basil, thyme, sage, coriander and chia.